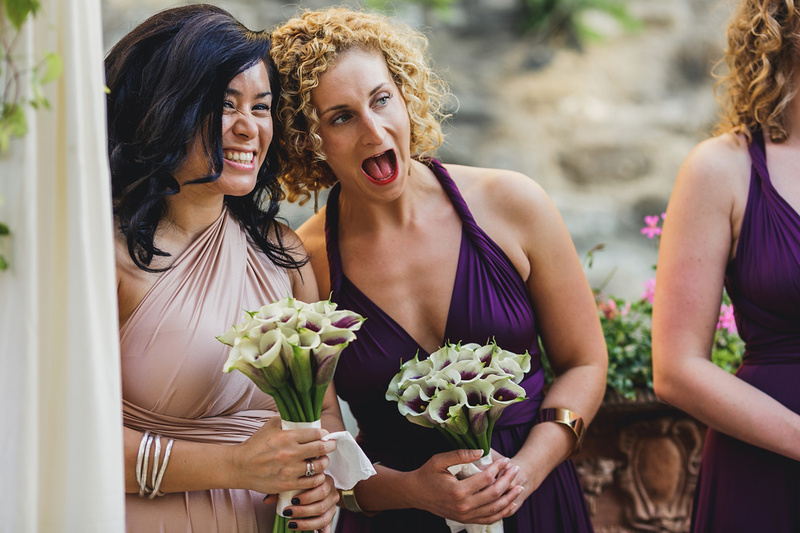 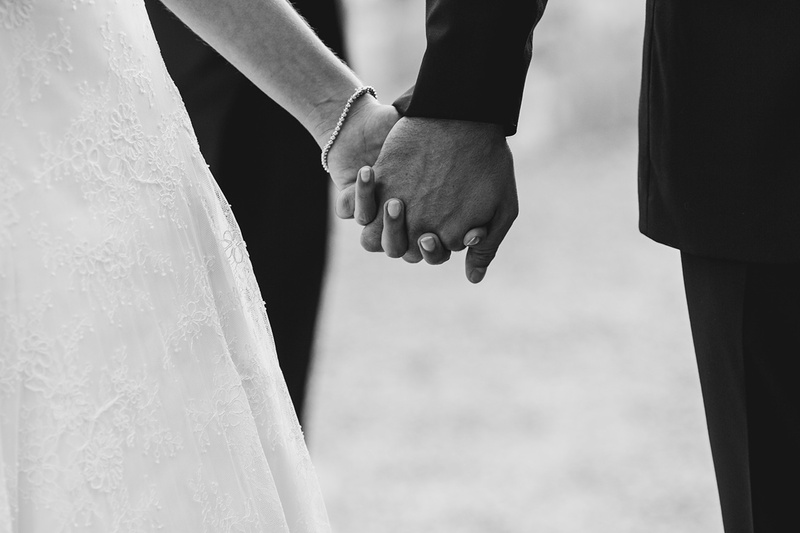 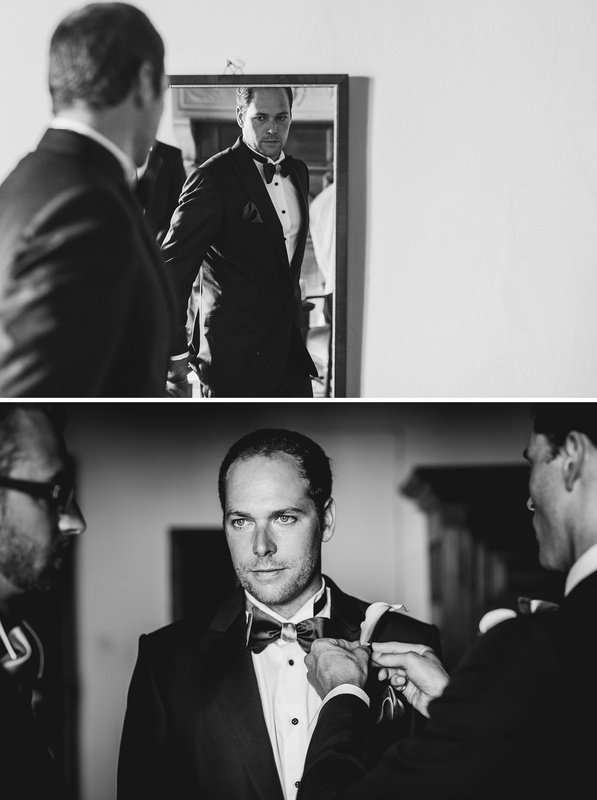 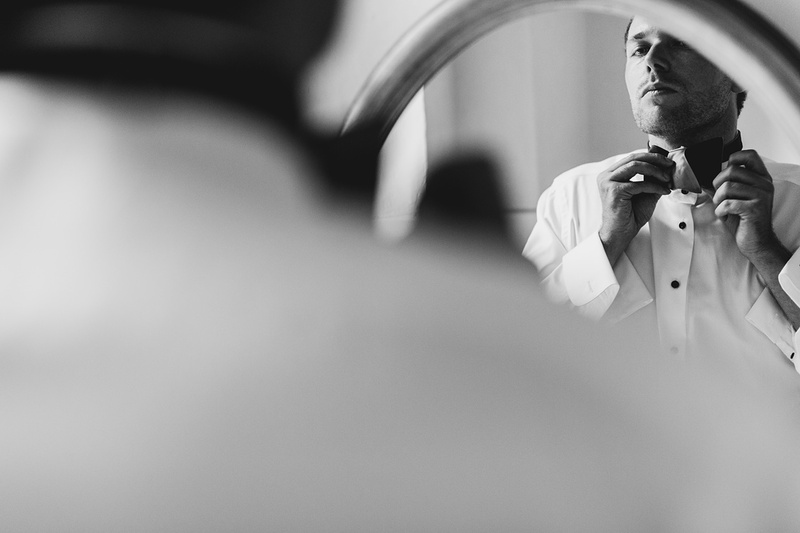 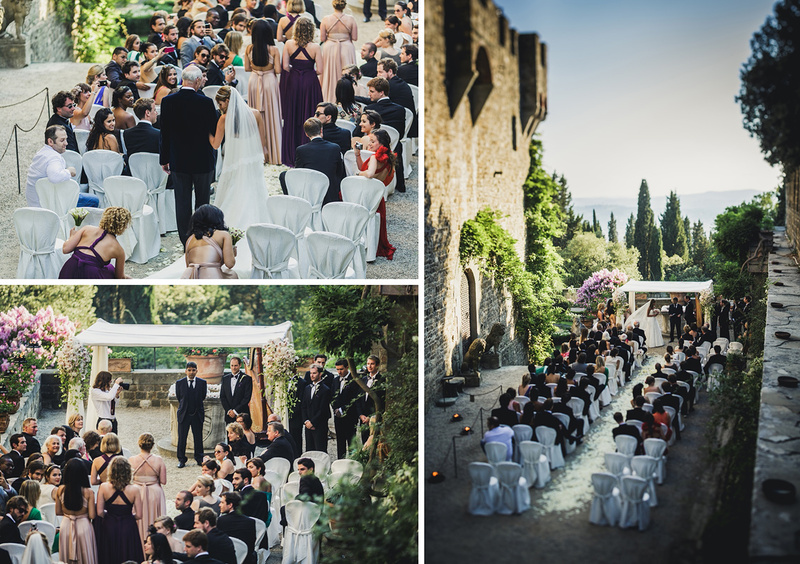 This year I had the pleasure to photograph a beautiful wedding in Tuscany. 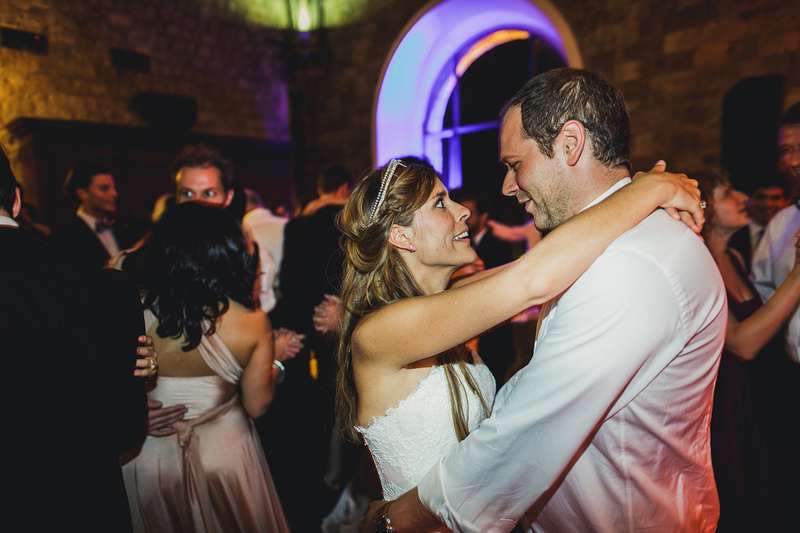 The whole story from the beginning was very international: Emma, who is English, and Garrett, American, live together in Paris. 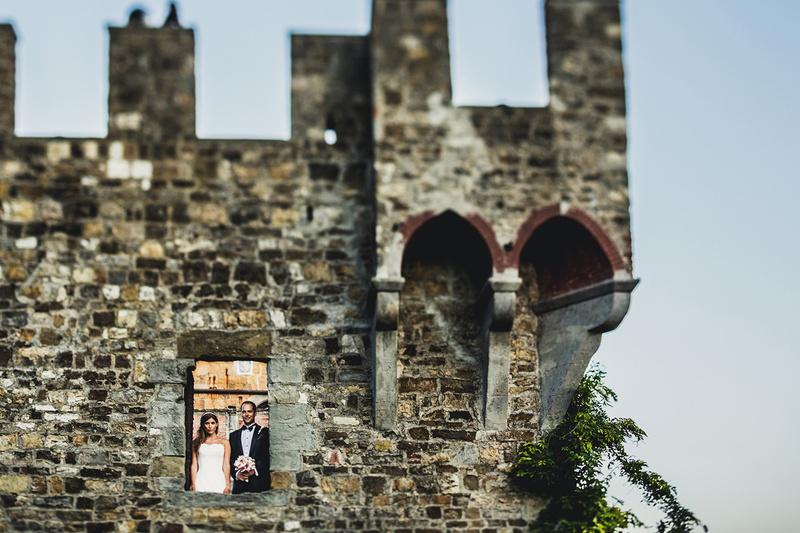 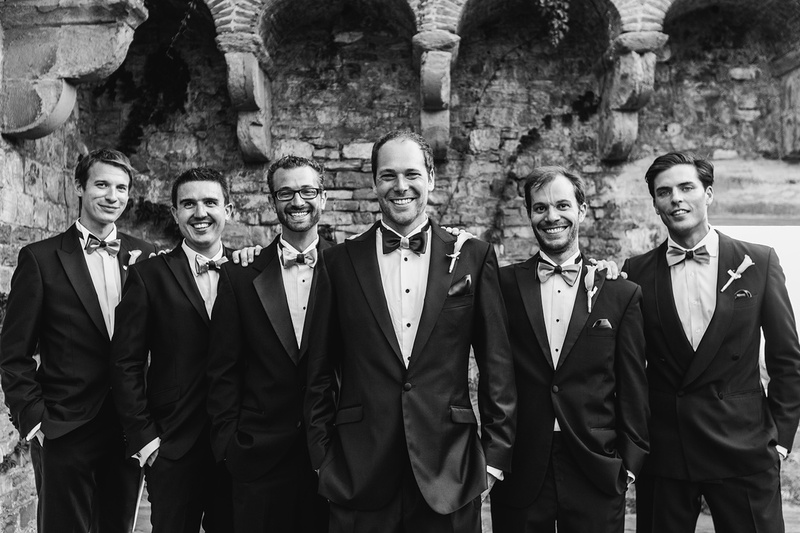 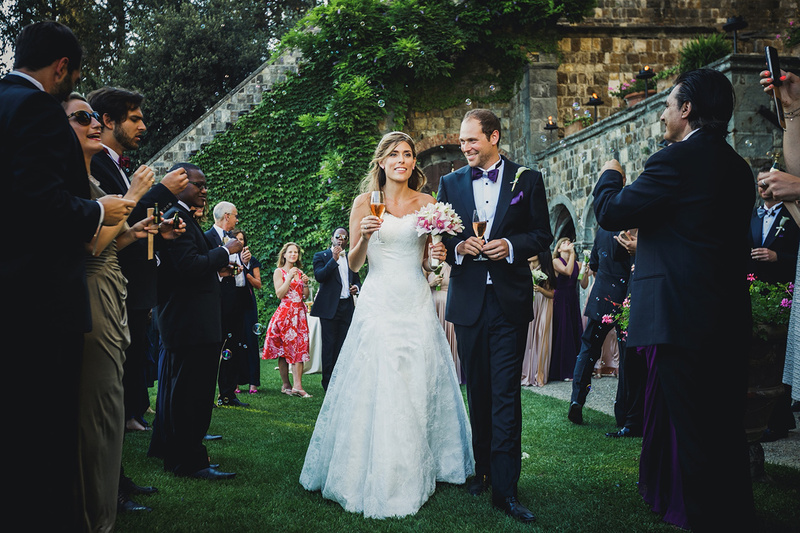 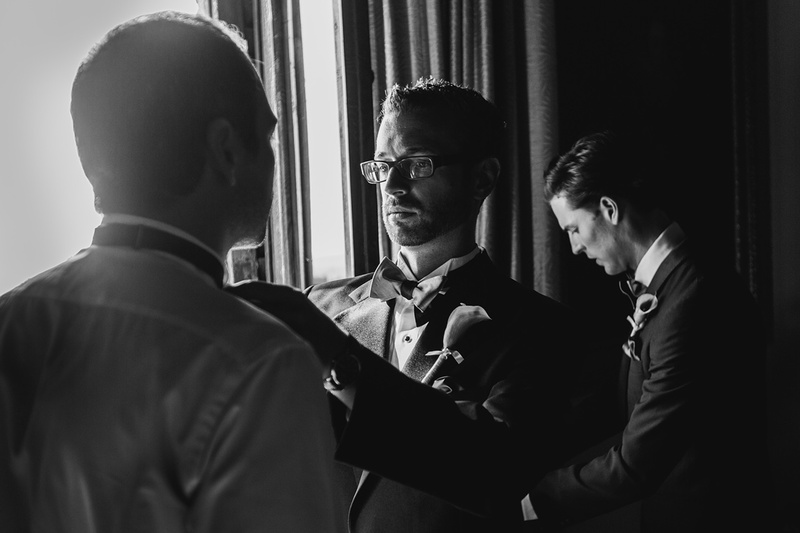 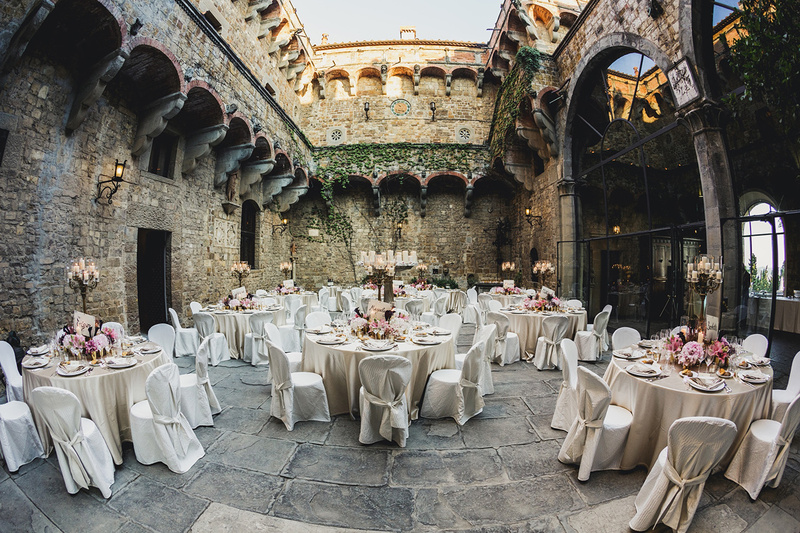 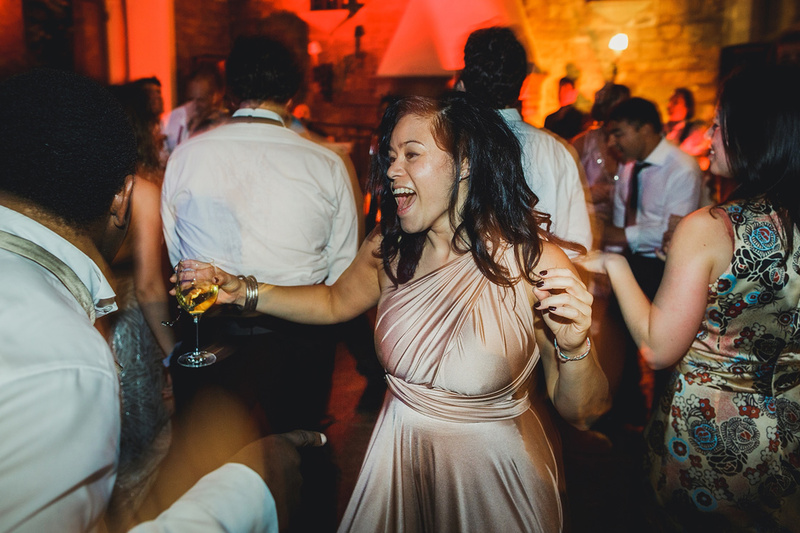 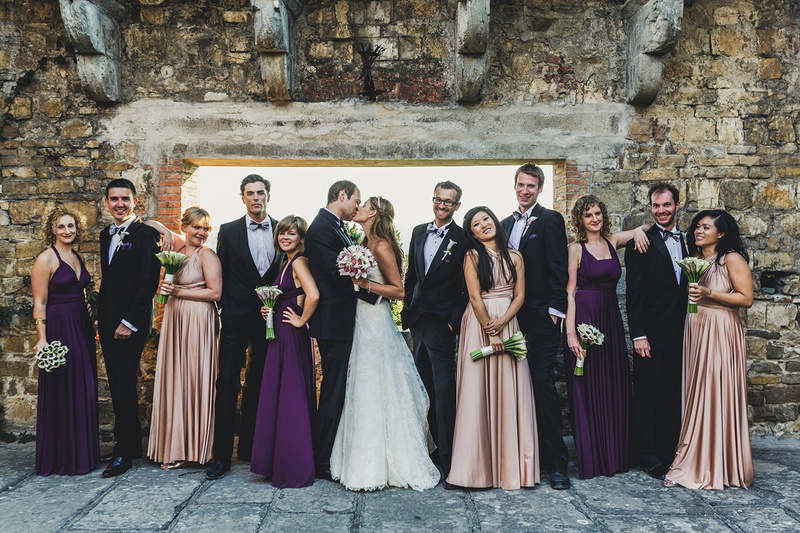 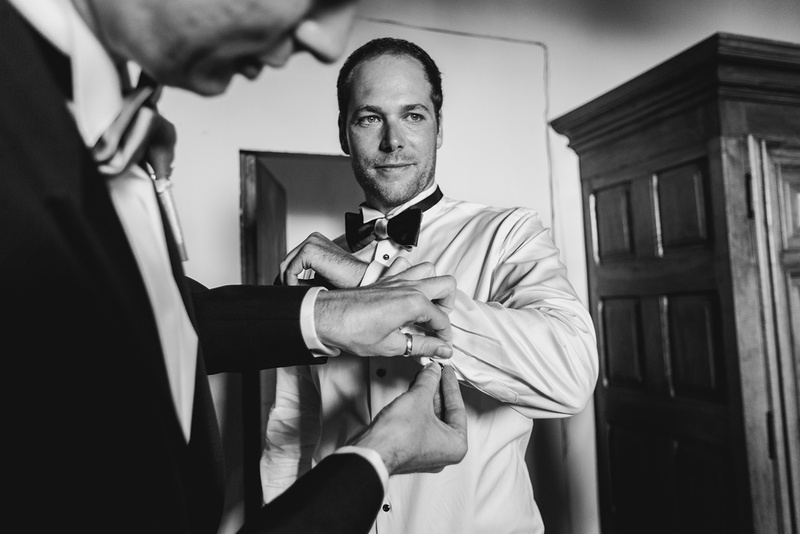 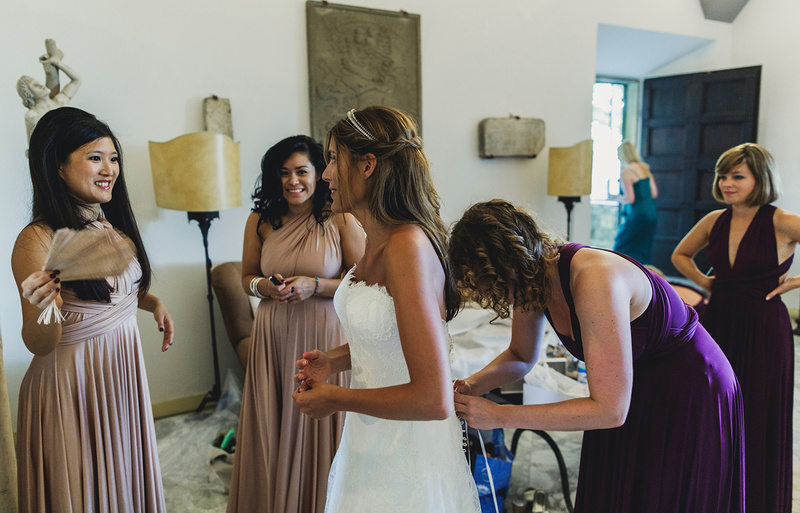 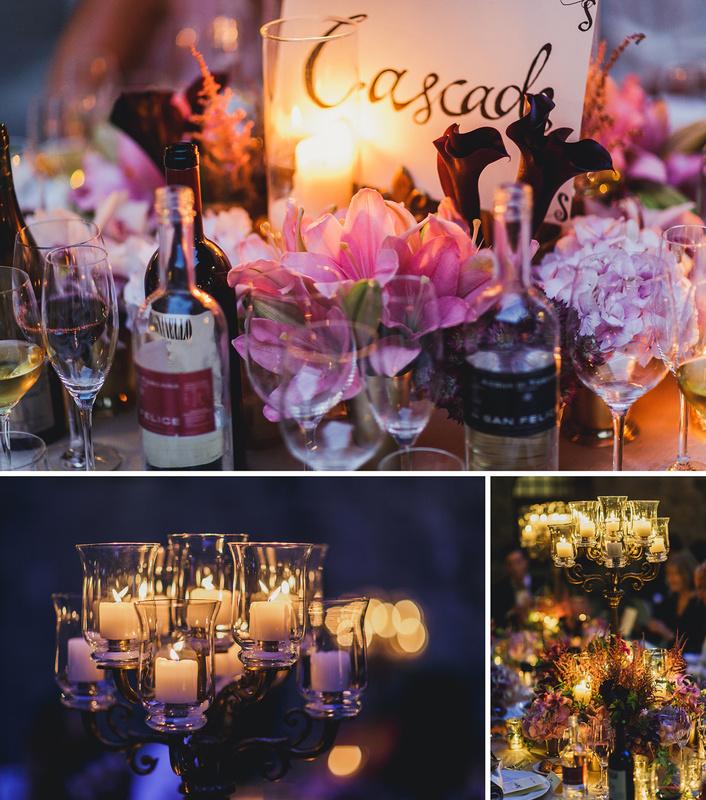 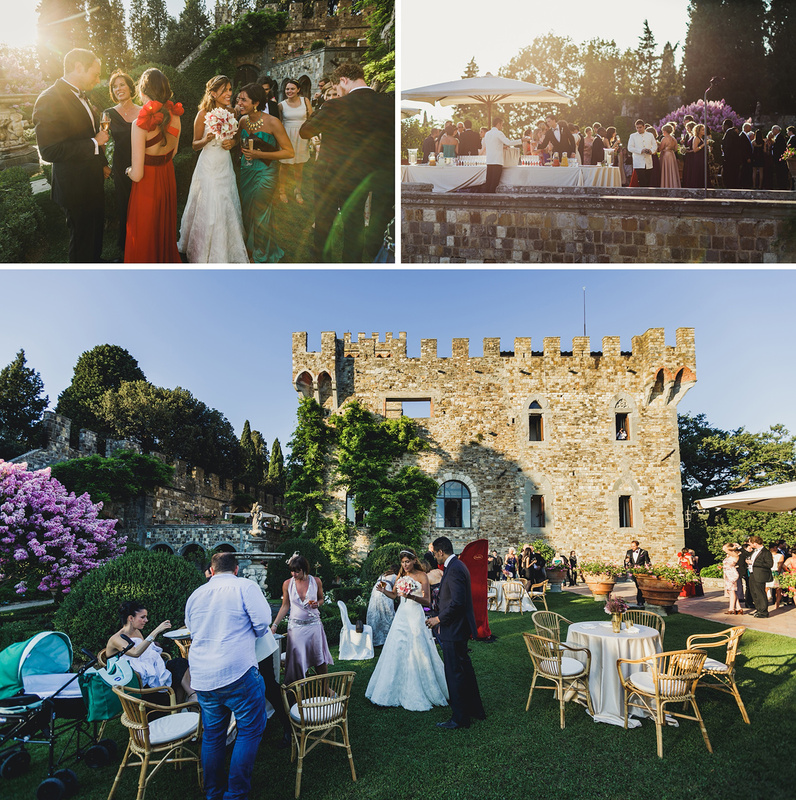 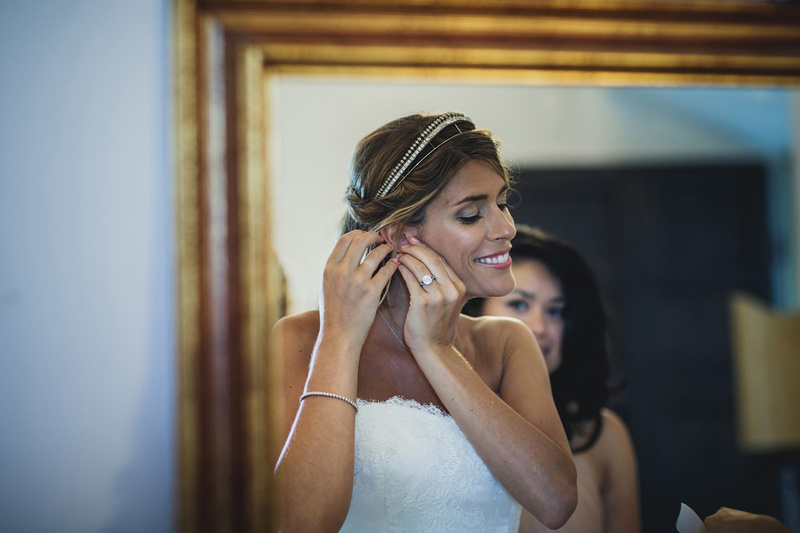 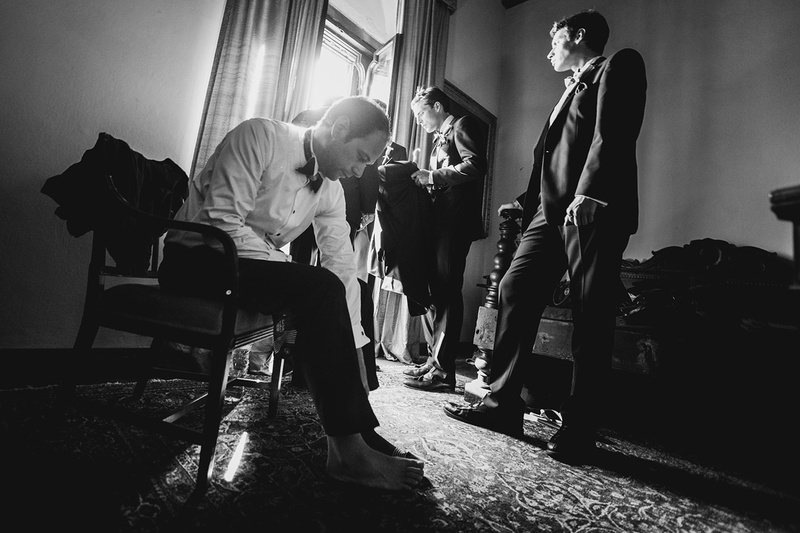 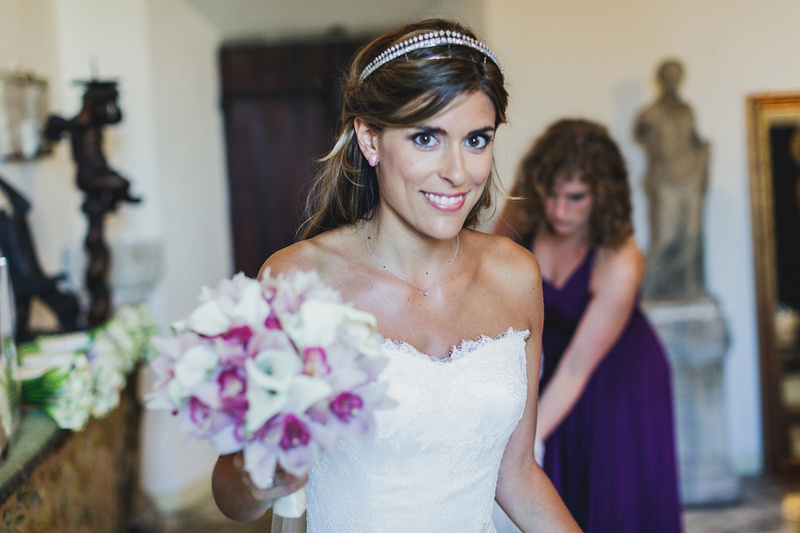 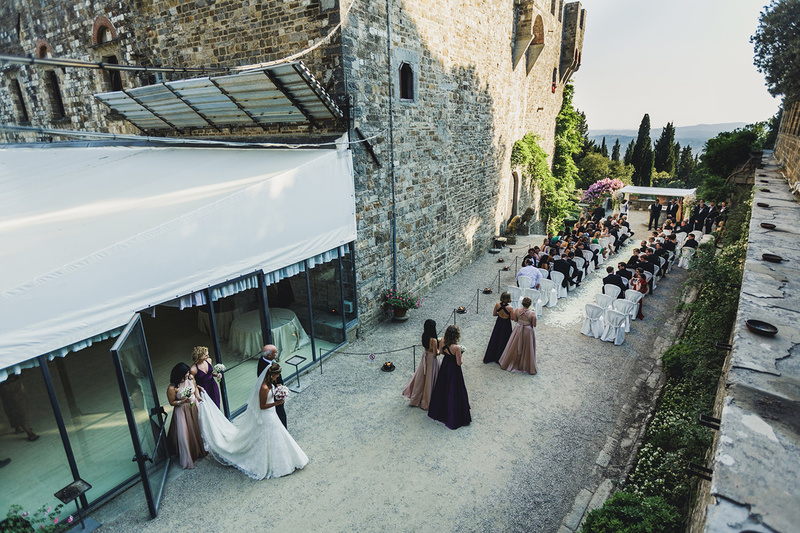 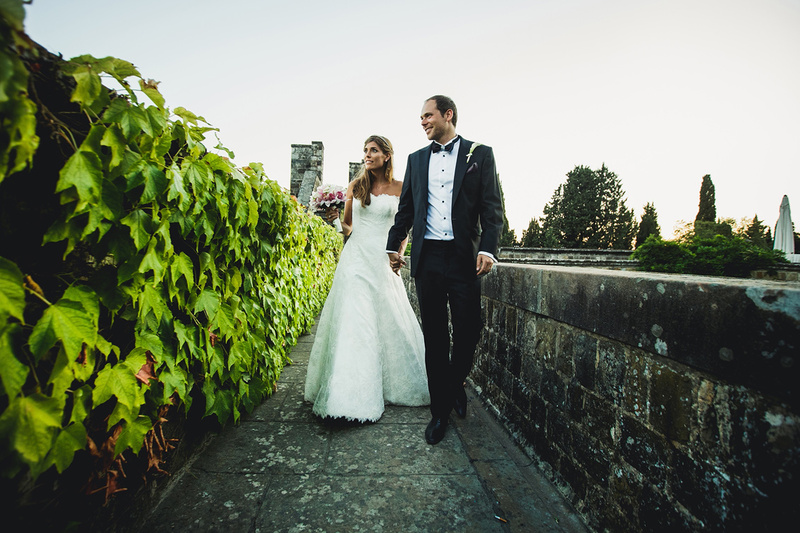 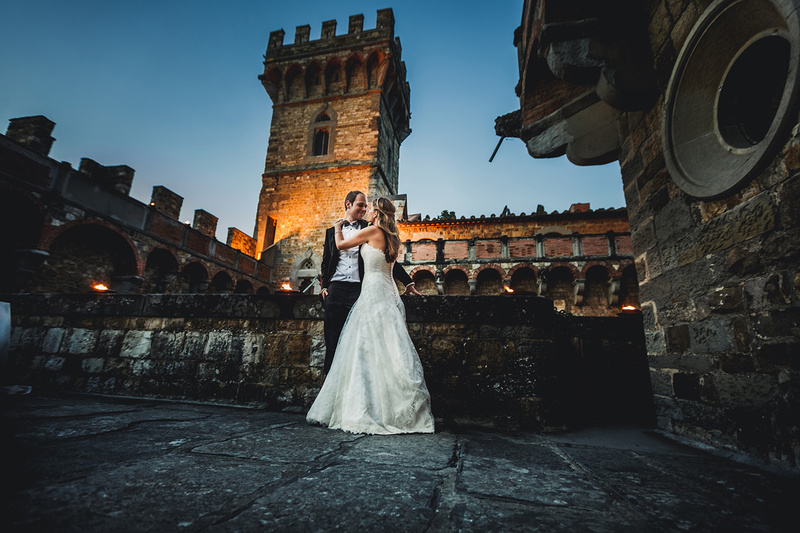 They celebrated their wedding in Tuscany, in one of the most beautiful places in the world – Castello di Vincigliata. 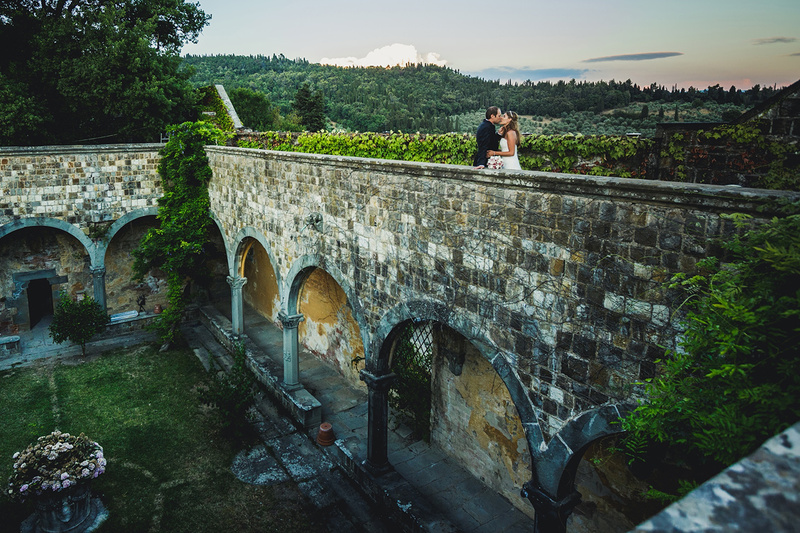 High above Florence, with a fantastic view and typical Tuscan flair. 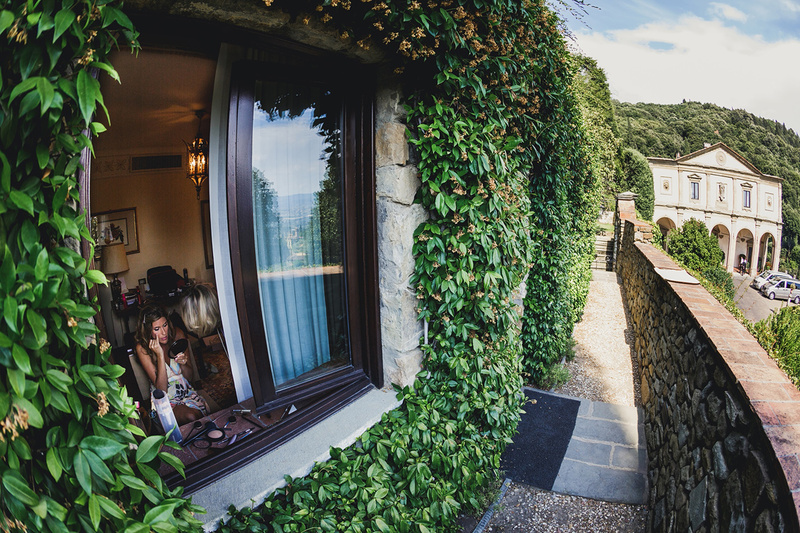 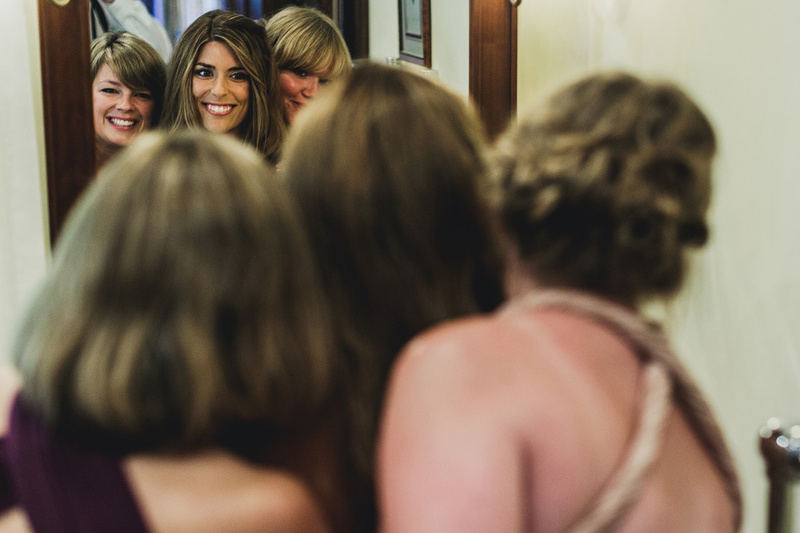 The hotel, where Emma and her bridesmaids were enjoying the moments of last preparations, was beautiful as well. 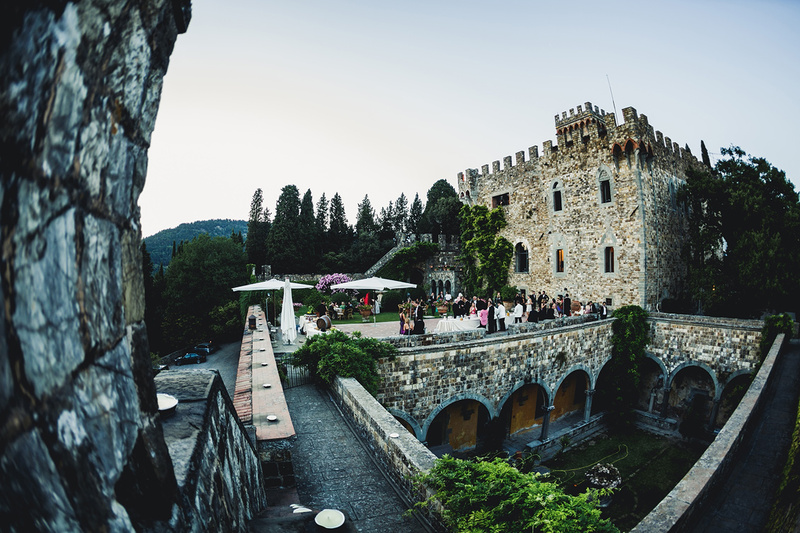 The Villa San Michele is a truly unique luxury hotel originated from the monastery, that Michelangelo had projected. 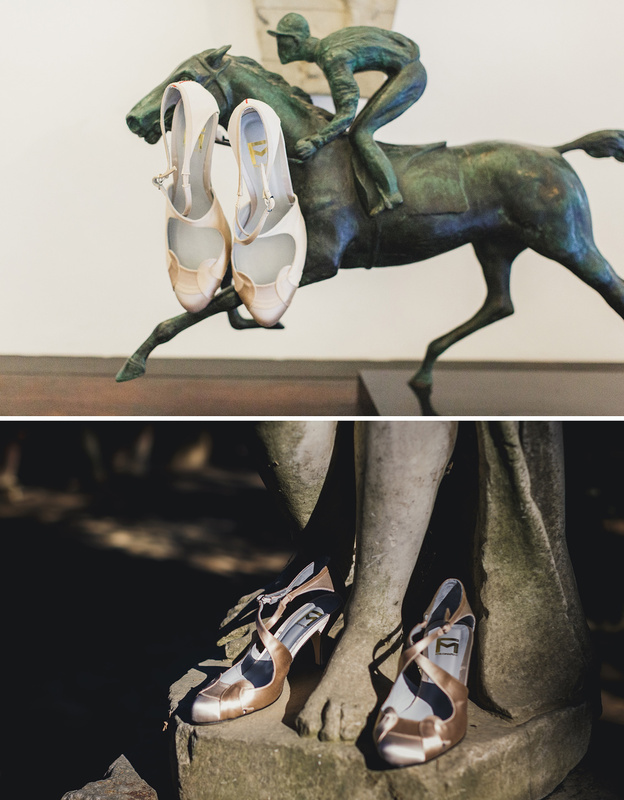 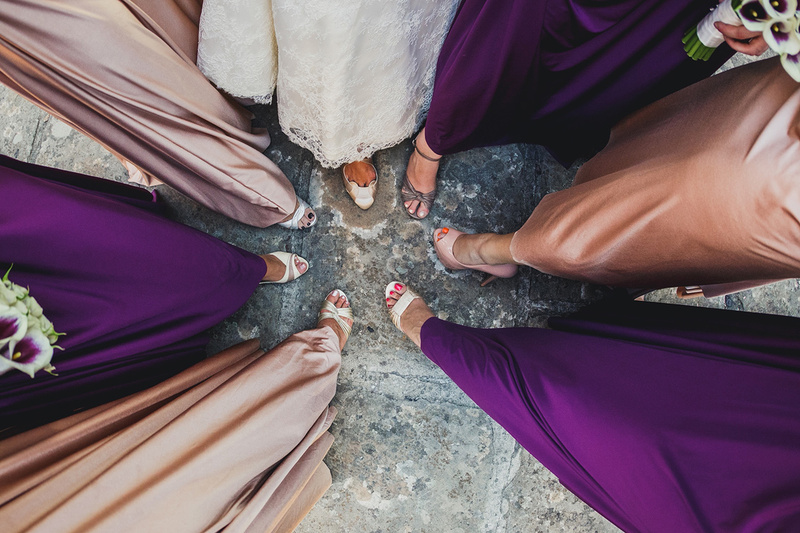 And now we come to the details, that will interest our readers and future brides: the wedding dress is from Phillipa Lepley, a London designer, and bridal shoes are designed by Fred Marzo. 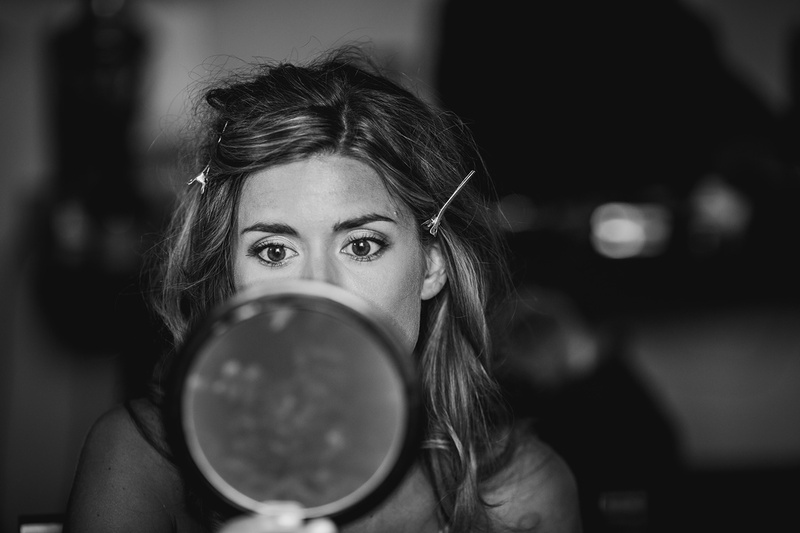 The make-up artist Louise Faulkner (louise.faulkner@yahoo.ie) has completed the bridal look with the wonderful make-up and hairstyle. 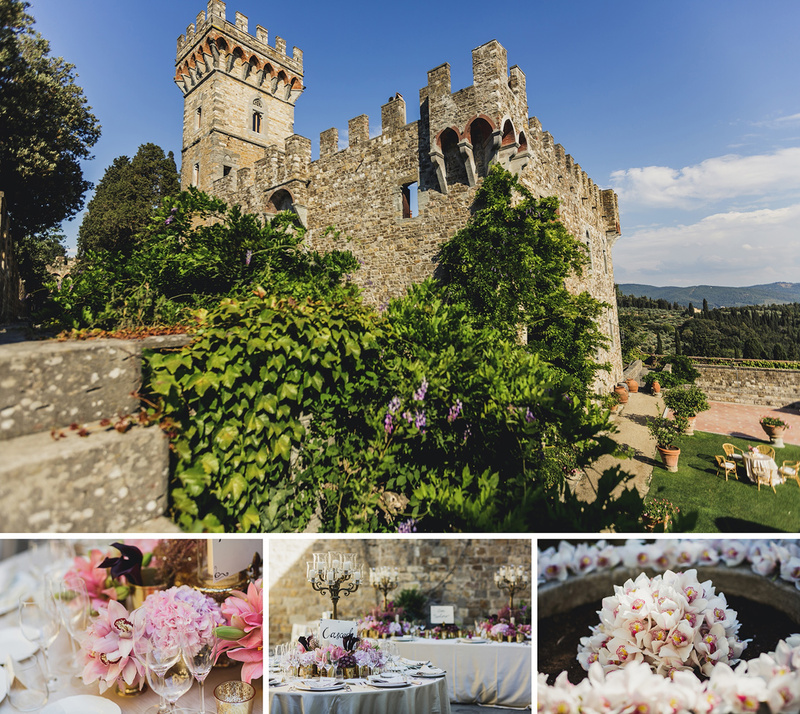 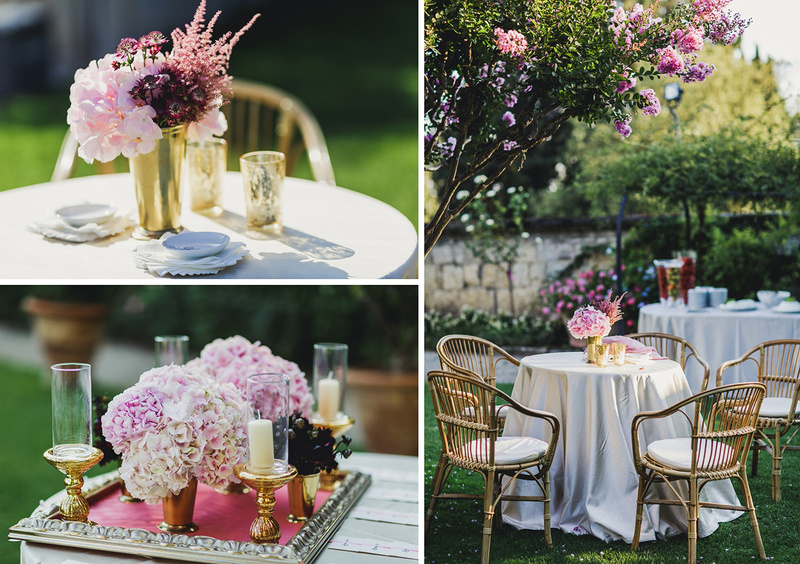 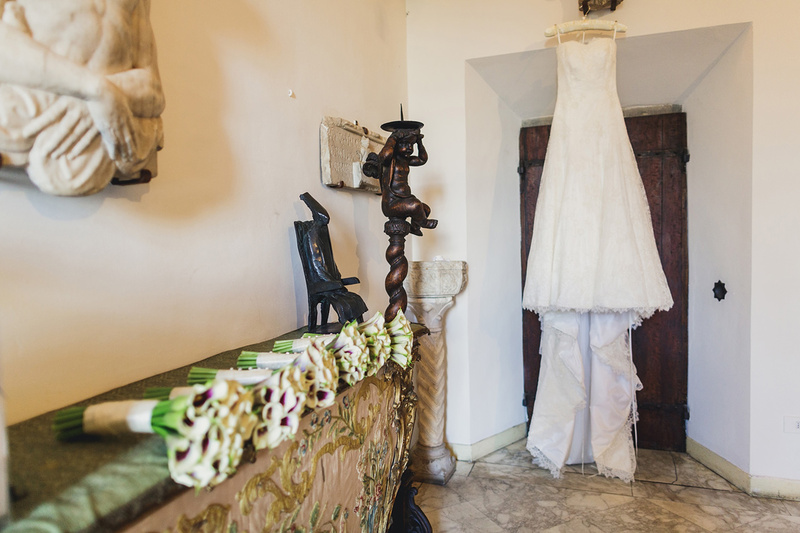 I should mention the work of florists, Tuscany Flowers, in particular: I have hardly seen such great and opulent floral decoration on weddings before. 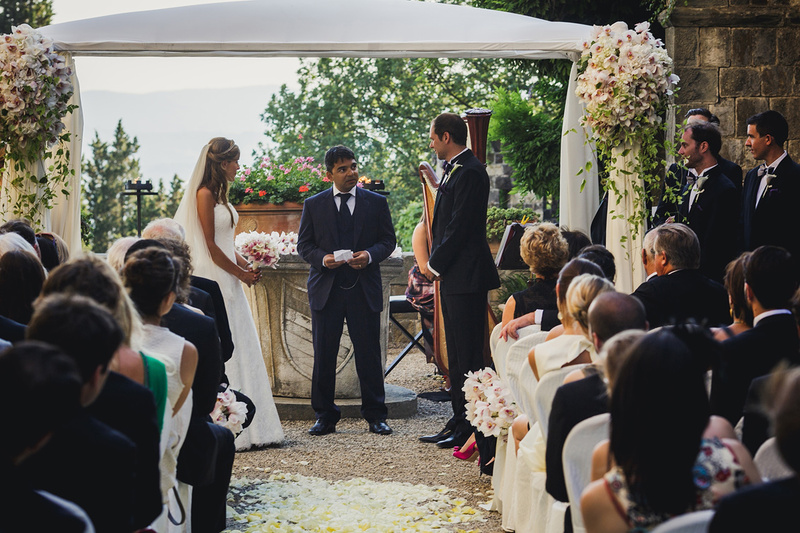 The ceremony took place outdoors, of course. 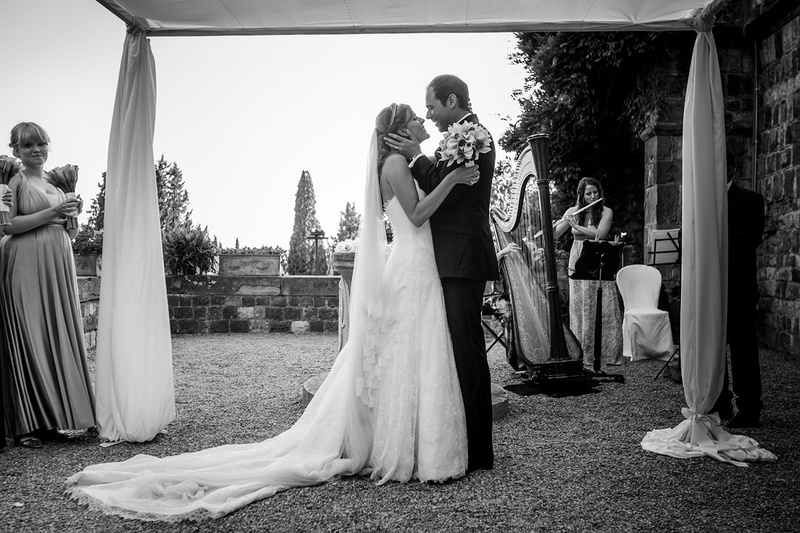 Emma was accompanied by her father and a good friend was leading the free ceremony. 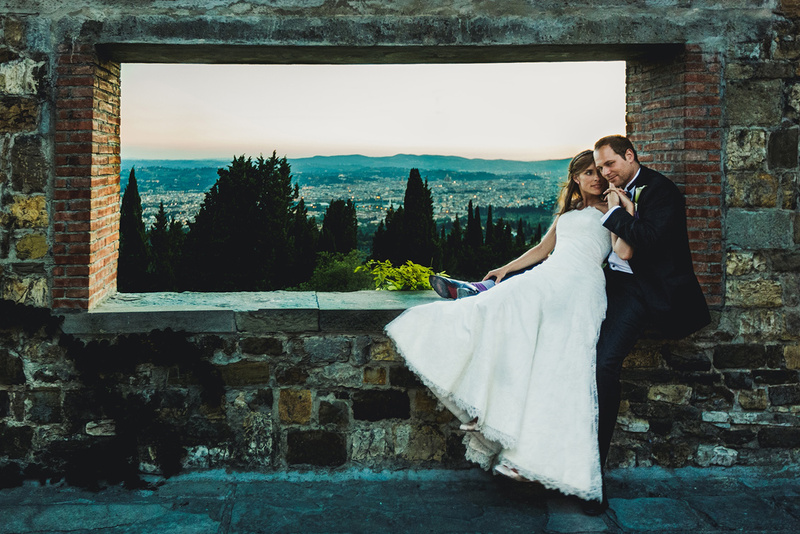 After the ceremony we all met in the garden with a breathtaking view over Florence. 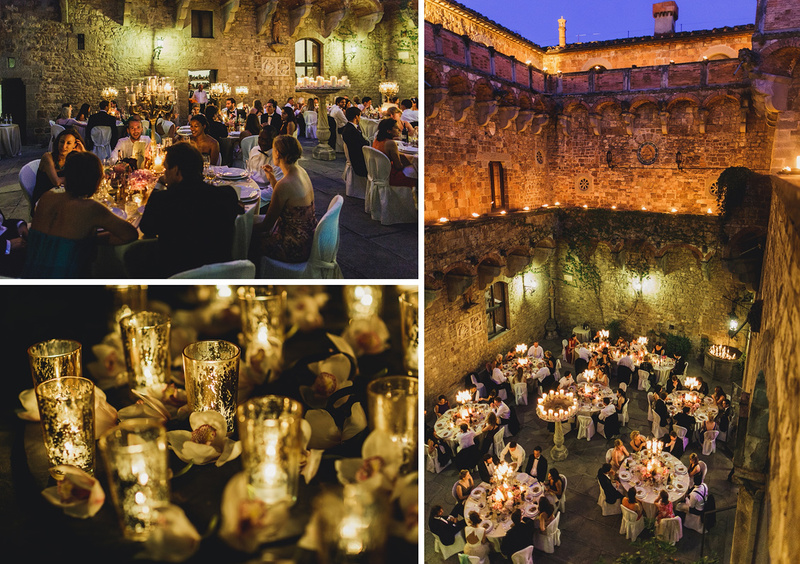 An absolute highlight was the dinner in the open courtyard of the castle. 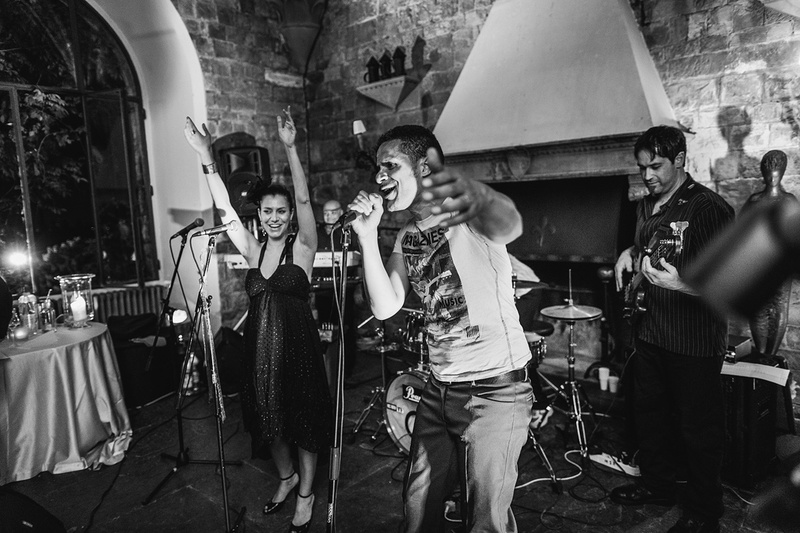 The band “Eddie and the Hot Rocks” began to play afterwards. 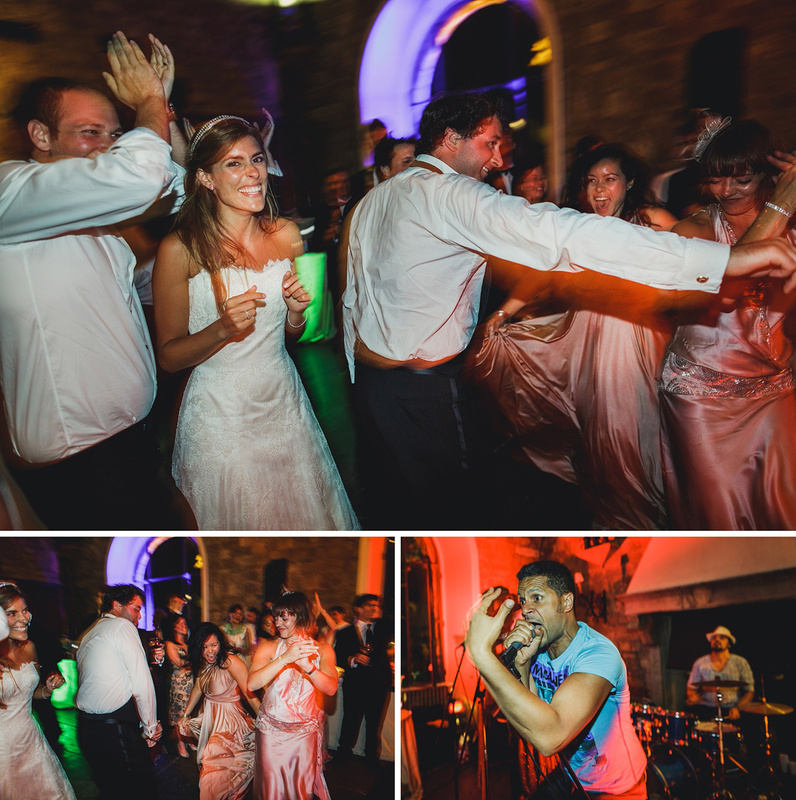 The pure rock’n’roll made got everyone fired up.